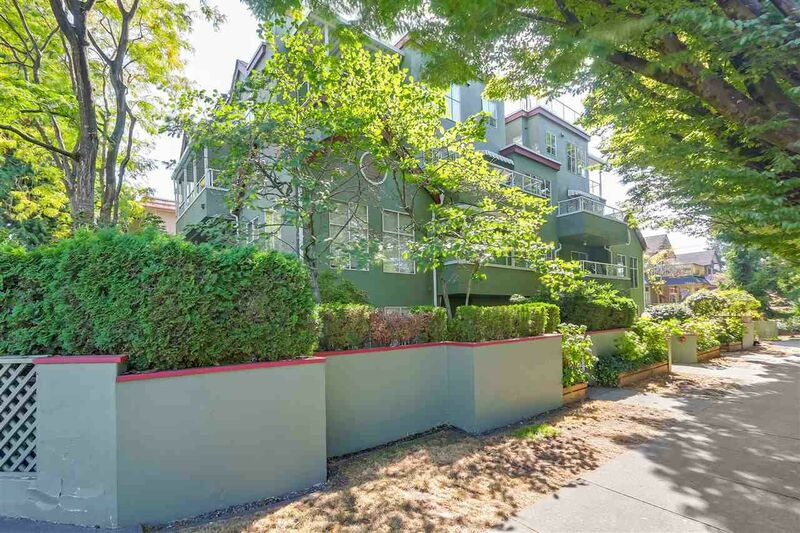 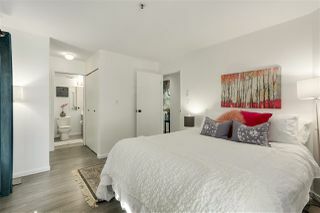 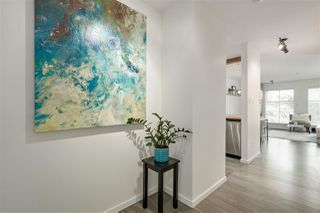 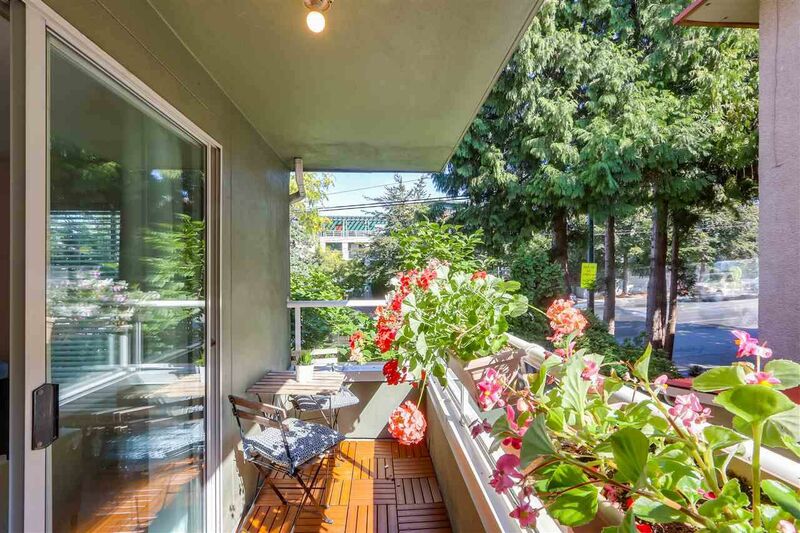 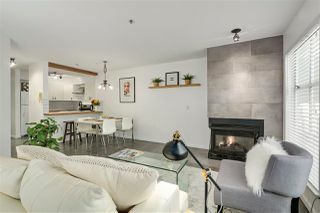 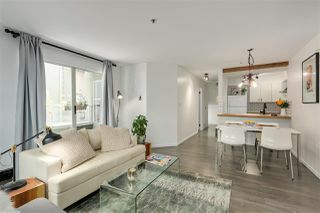 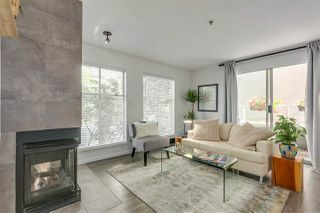 TRAFALGAR MEWS, Boutique 13 unit building conveniently located in Kits (4TH and TRAFALGAR). 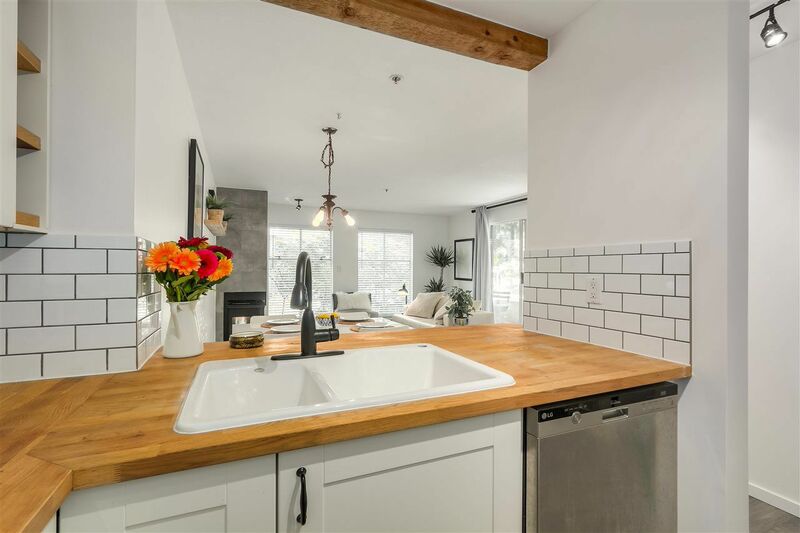 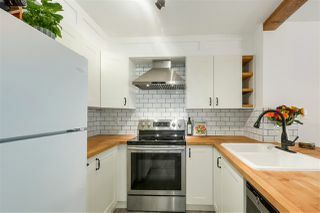 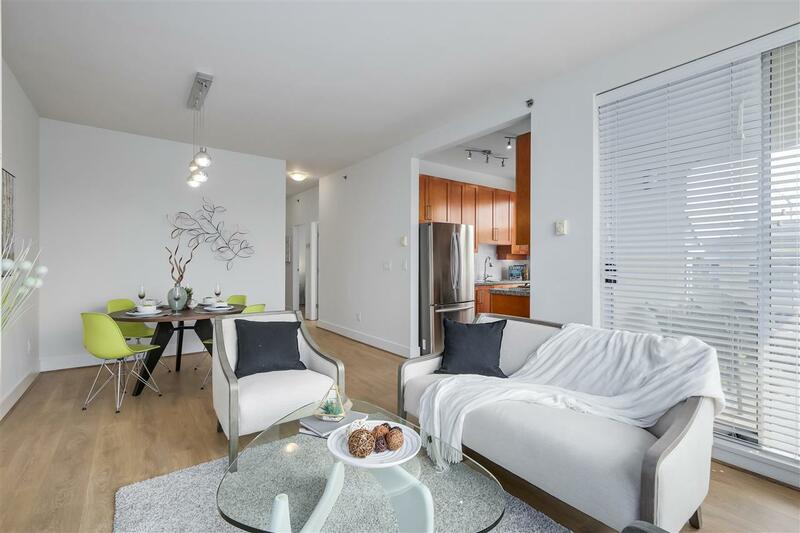 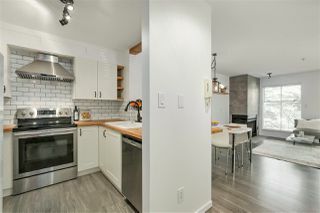 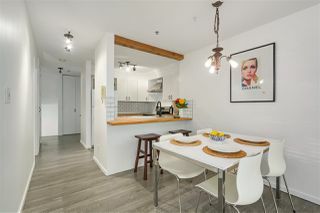 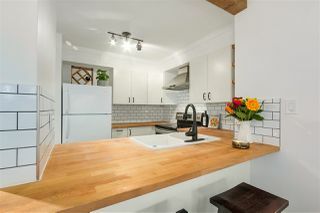 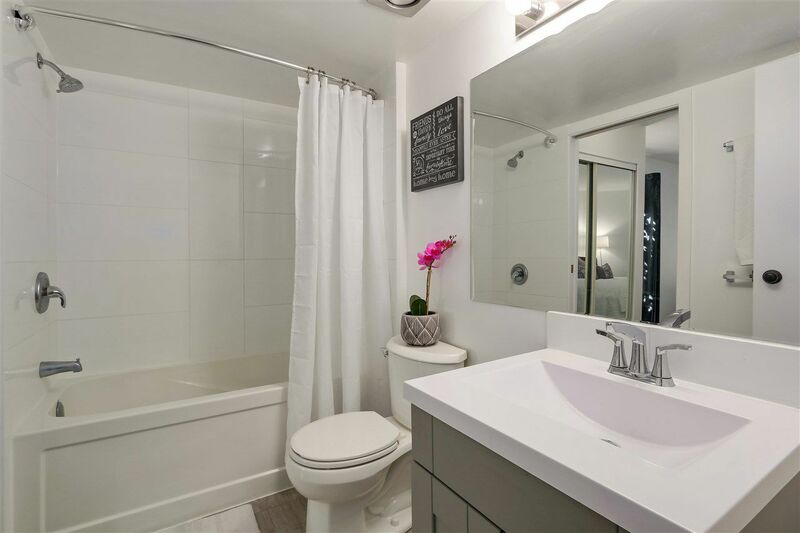 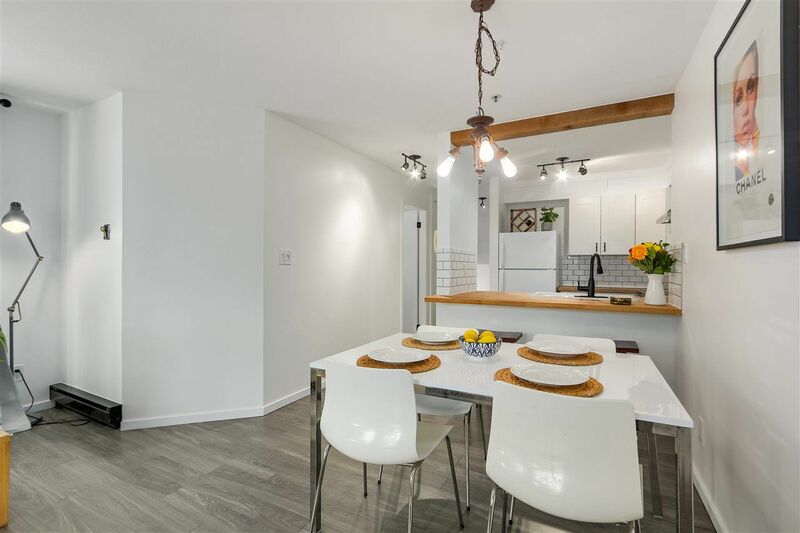 Special attention has been put into this completely renovated unit; with beautiful exposed cedars beams, subway tile kitchen backsplash w/ farmhouse kitchen sink. 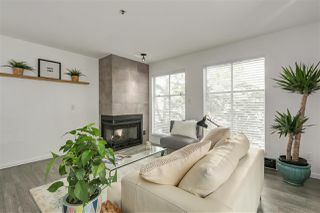 Cozy gas fireplace includes sophisticated floor to ceiling tiles. 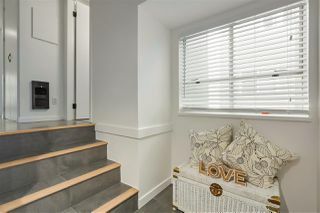 Welcoming entrance way is tiled with oak nosing. 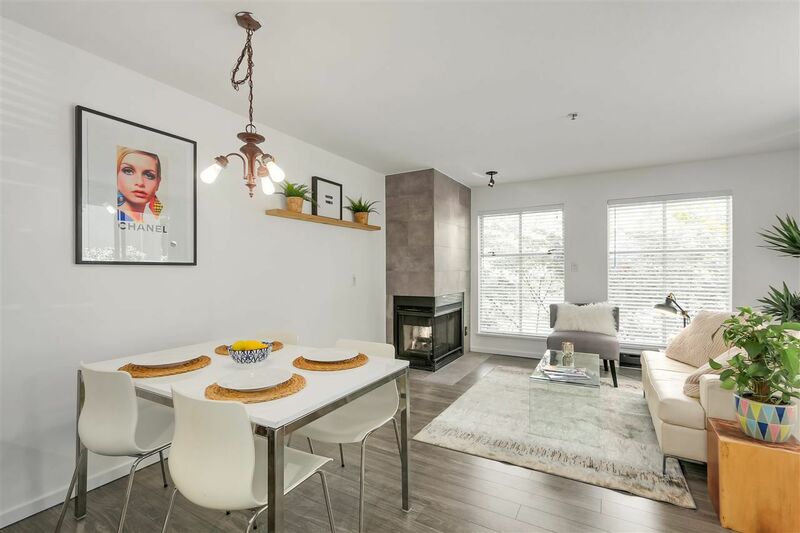 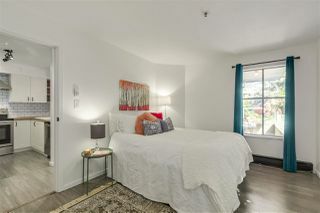 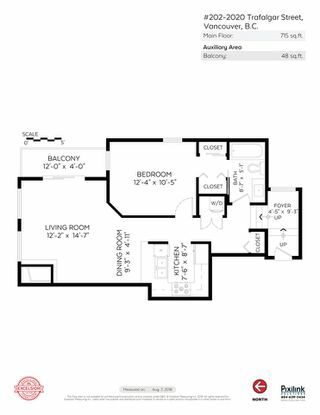 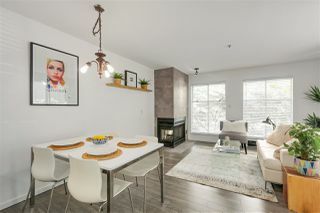 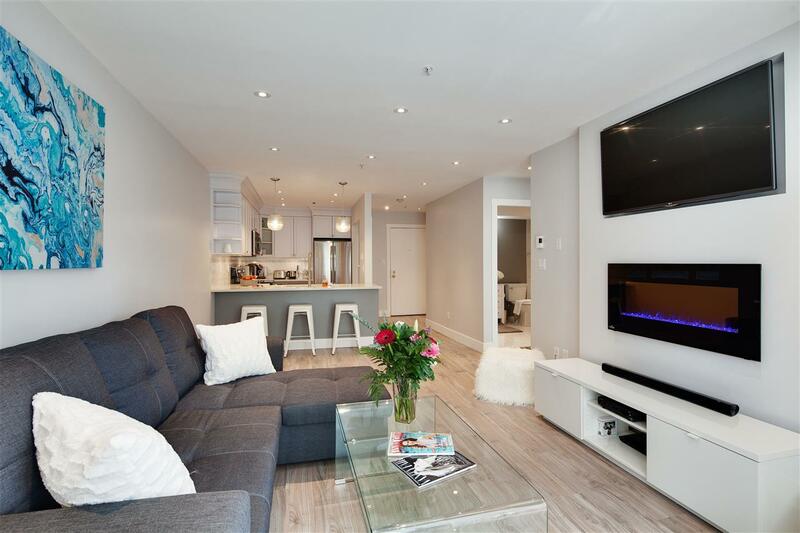 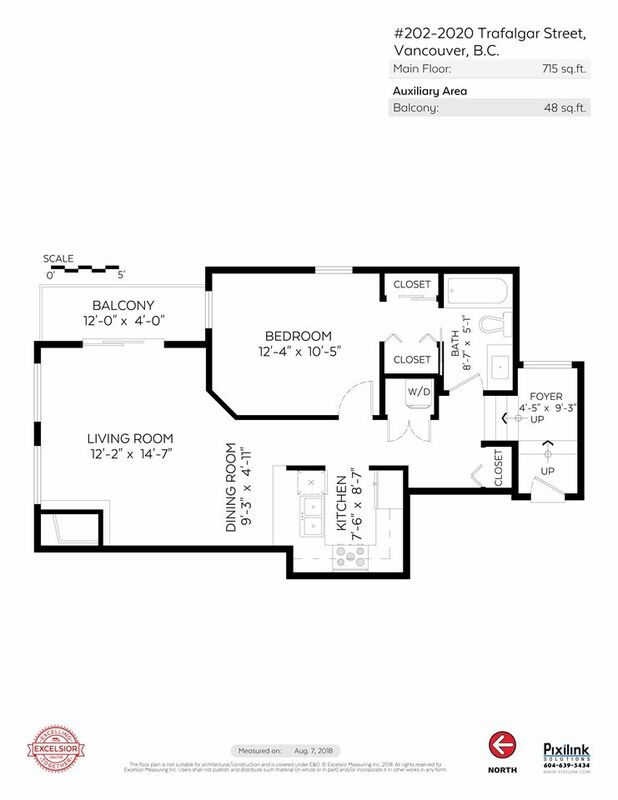 This 715 SF, 1 bdrm/1 bath corner home has an entertainment sized living room & large dining room, Large master bed w/ensuite, 1 parking and in-suite laundry. 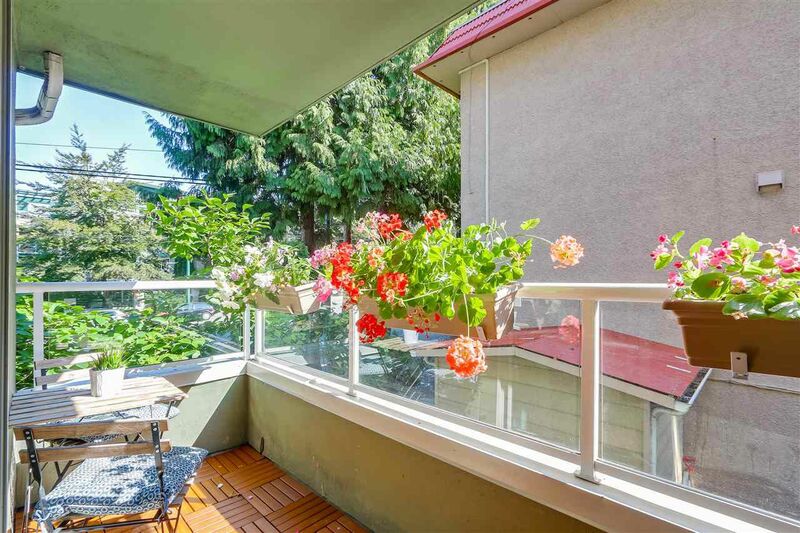 Enjoy morning coffee on your sunny 12x4 balcony. 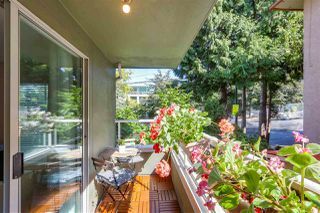 Only a few blocks way from beaches, amazing restaurants, the popular Lokal cafe right next door! 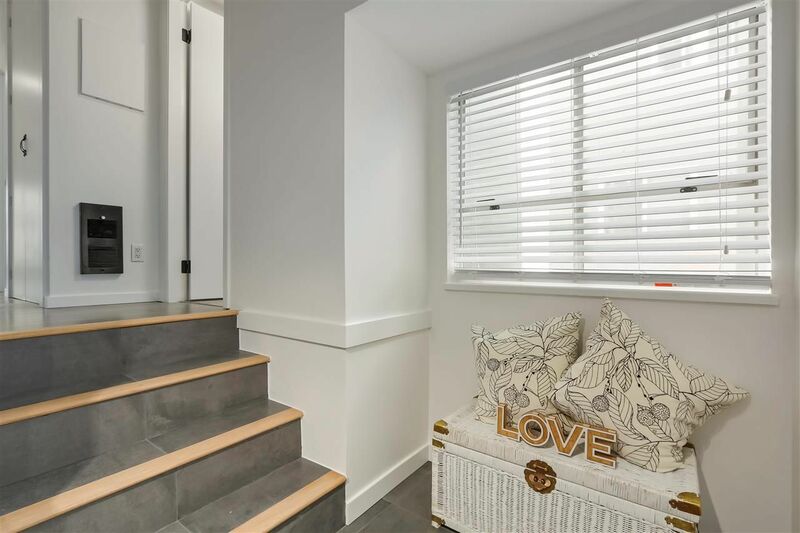 Rentals allowed, pets allowed. 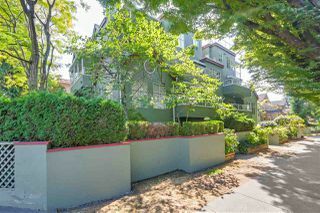 Open House Saturday, October 20, 2:30 - 4:00 or Call for your private showing!